I received 2 beautiful postcards from a girl in Germany via swap group! 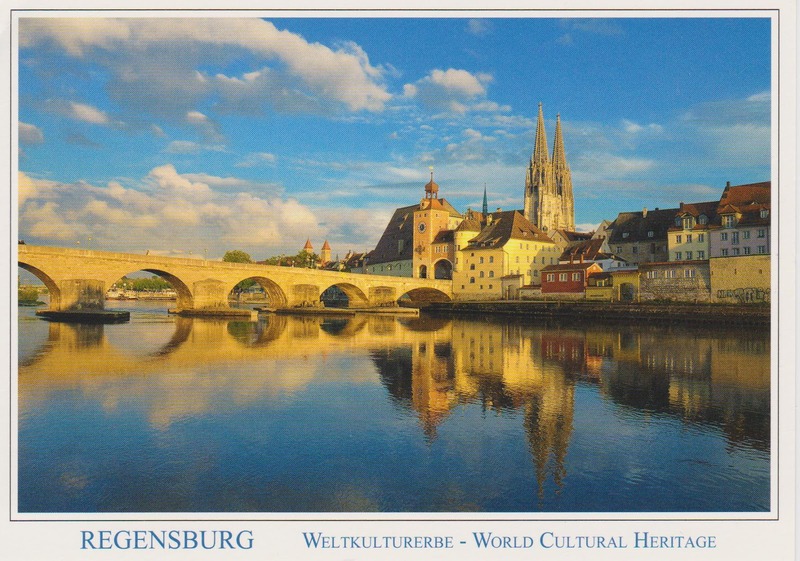 This postcard shows the famous view of Danube, medieval bridge, beridgetower, salt store and St. Peter's Cathedral of the city called Regensburg in the south east of Germany. And this is the other postcard she sent me. I LOVE this! 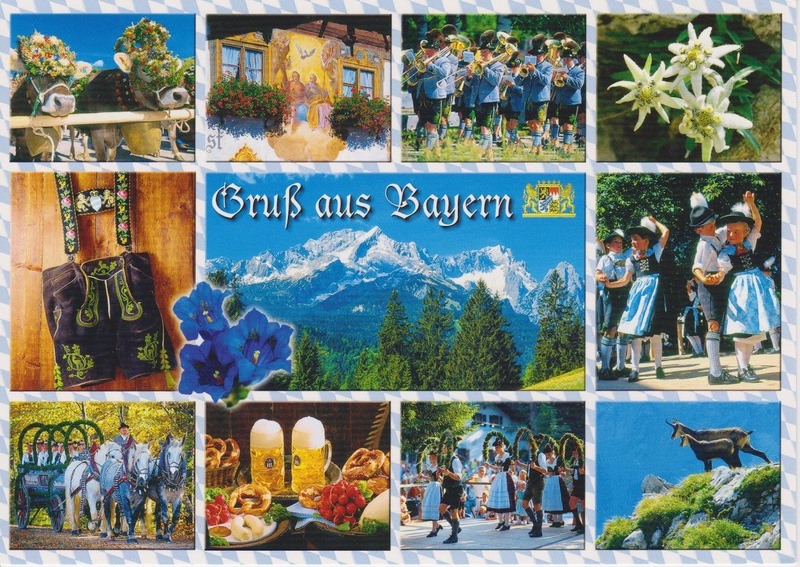 It shows the traditions and particularities of her state Bavaria. I love the traditional costumes, food&beer, the moutains, flowers...so nice. I wonder what the German written on the card says. Could anyone tell me? Hahaha. It was a typo! I meant "plane"! :D But I wish I could travel to Germany by train because I'm not a big fan of flying! Really beautiful cards! 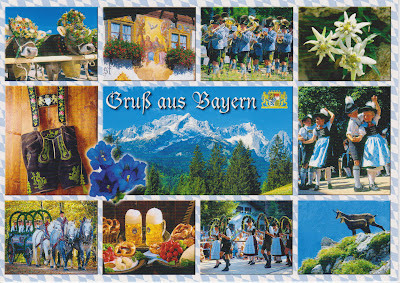 The card says "Greetings from Bavaria". It's great to see a whole blog entry about the cards I sent you! ;) So happy you like them!!! 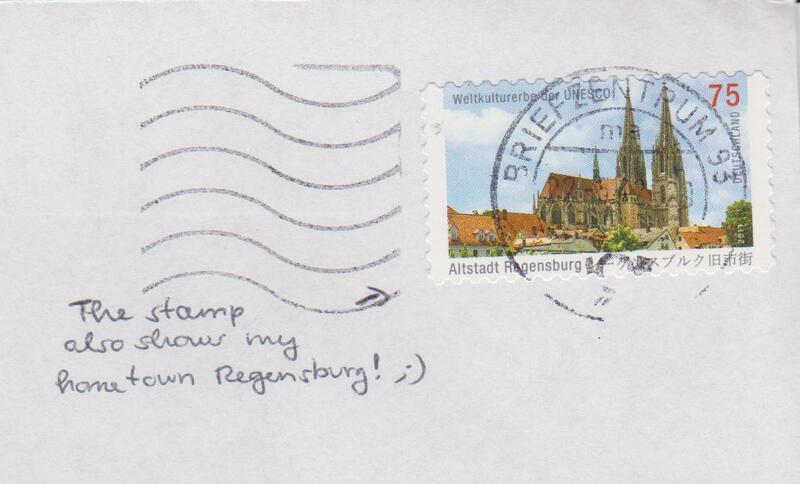 :) And whenever you come to Germany feel free to tell me and I'll show you around in Regensburg! I love the first card, the view is beautiful :) it's nice to know that my country, Lithuania, is in good terms with Japan as well!